Whenever I visit my mother-in-law, I always leave her place bringing a take-home package. Momma is into farming and she has a lot of farmer friends who grow all sorts of plants. The last time I dropped by Momma gave me a jar of wild honey and a bunch of talinum leaves which she bought from one of her organic farmer friends. I never heard of talinum until that day. 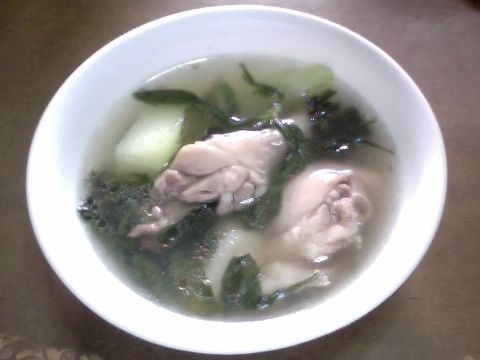 Apparently, they're also called Philippine spinach! They're high in antioxidants and have other health benefits. Momma recommended that the leaves be eaten raw, as a salad, for which I could use the wild honey as dressing, timplahin ko lang with vinegar. 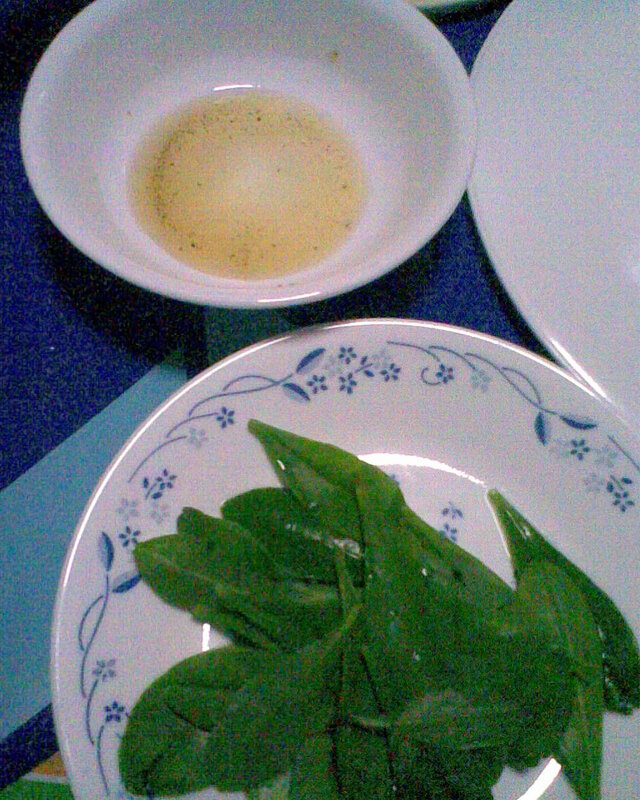 So I did just that, but I munched on the leaves like a snack and used the honey-vinegar mixture as a dip. :) (Here's another talinum salad recipe.) They were good! Nice and crunchy!